Every year the WPP-owned consumer insight and trends research agency Mindshare analyses the most recent global cultural trends that impact the marketing and communications strategies of the biggest brands. None of the top 10 “Culture Vulture” 2015 trends would be a revelation for marketers or strategic decision makers, however, some findings might be noteworthy. Trends, trends, trends… With the new 2015 year on the doorstep, all marketing experts make their forecasts on what people would watch, do, eat, wear, etc. The London-based trends and insights agency SBC Partners, part of Havas Media Group, has shared some views on the future of dining, fashion, retail, home, travelling, lifestyle, and more. The global brand experience agency Jack Morton has analysed some obvious consumer trends, such as “Internet of things,” boom of wearable devices or rise on concerns about social responsibility, to reveal what people (often refereed to as consumers in the world of marketers) really think, feel and want. 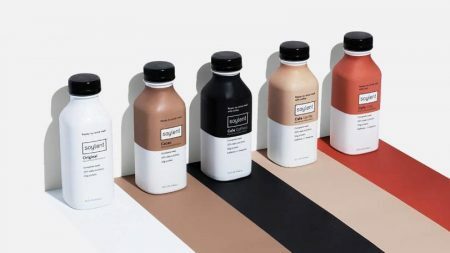 In the time of traditional annual trend forecasts, the award-winning US brand strategy, design and innovation agency Sterling Brands has presented its own views on what to expect in the nearest future from brands in fashion, technology, urban planning and food production. Earlier in October, the media agency OMD UK in partnership with the UK’s leading publishing company Time Inc. UK presented the results of their second-year joint research project aimed to better understand the ever-changing British society—the report called The Future of Britain, and its specific part The Future of Families. VML Qais, an Asian arm of Y&R with offices in Singapore and india, has released the findings of the pan-regional study Generation Asia 2014 encompassing 10 Asian markets and 32,000 consumers aged from 18 to 60 years old.